Saturday, February 15, at FSFLL Championship event held at Delaware Air National Guard Base in New Castle, FSFLL program director, Lou Rosanio recognized Mrs.Terry Moore for her 13 years of service with FLL Planning Committee as First State Judge Advisor, presenting her with the volunteer of year award. 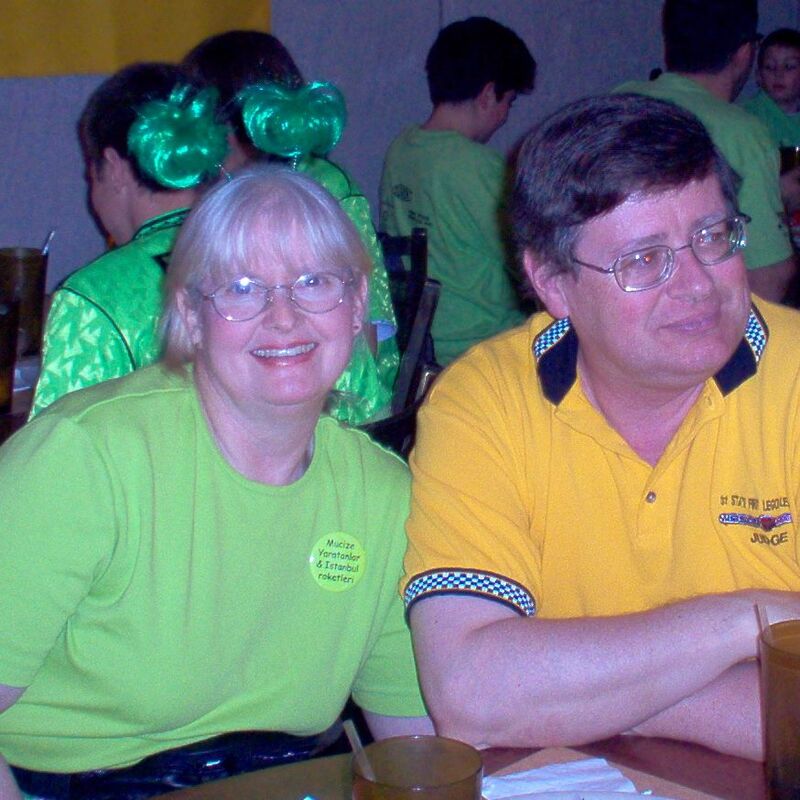 As judge advisor, Terry has been responsible for training and overseeing the judging experience at all FSFLL qualifier and DE FLL championship events. Also, she facilitates judges’ final deliberations and validates state/regional finalists who may continue on to higher levels of competition. This entry was posted in News and events and tagged 2014, Delaware, FIRST, FLL, FSFLL, robotics, STEM, volunteer, youth by fsreditor. Bookmark the permalink.